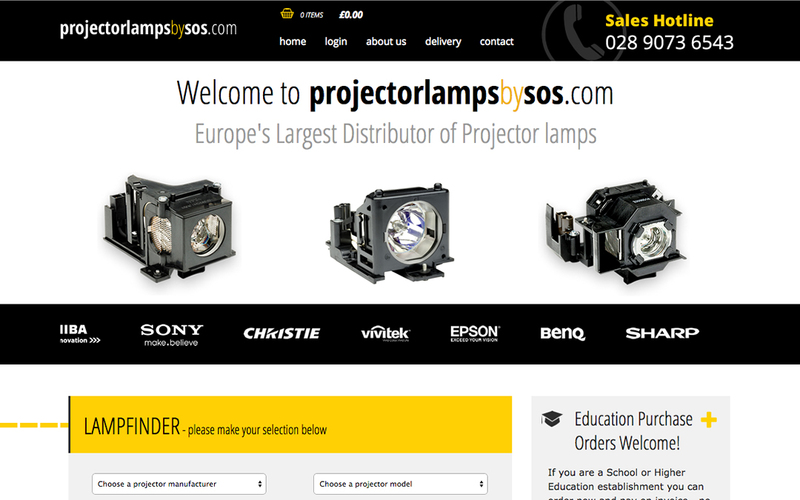 Projector Lamps by SOS sell a comprehensive range of both manufacturer branded and original replacement projector bulbs and lamps. 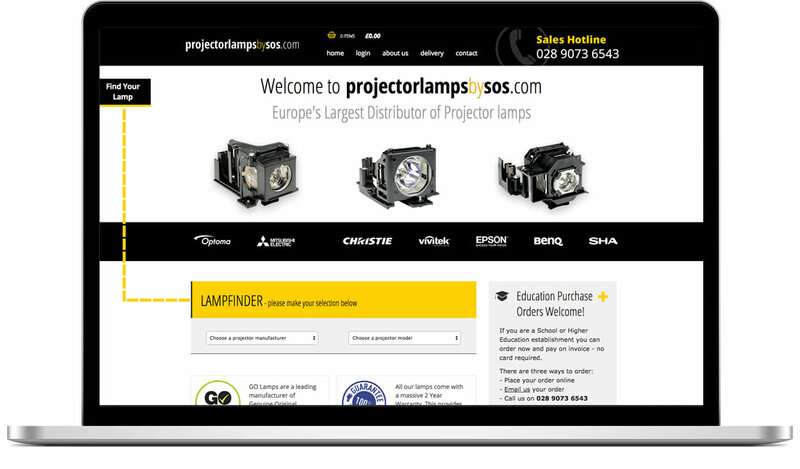 This e-commerce website allows customers to find their specific projector model and purchase the appropriate replacement bulb. 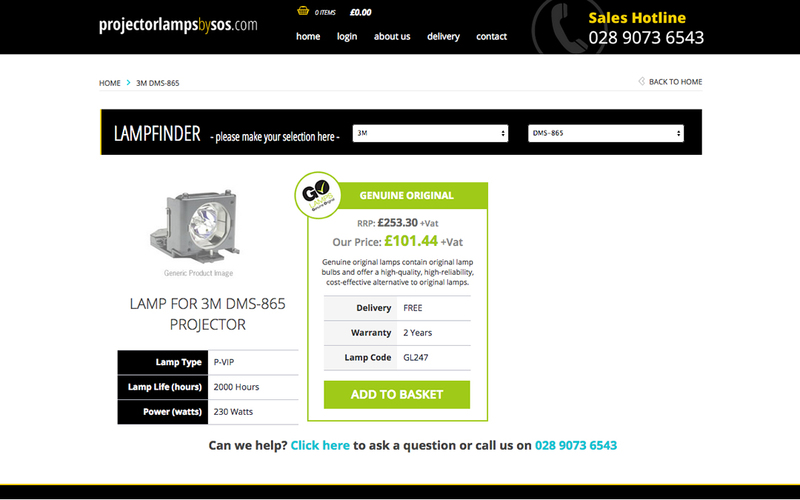 The comprehensive list of manufacturers and projectors displayed in the lamp finder is provided via a data feed from the bulb supplier. 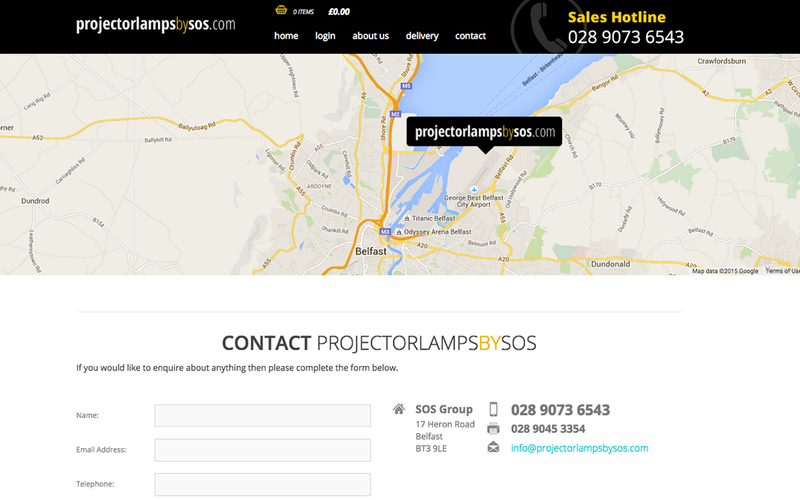 This, along with details of all the replacement bulbs, is imported and updated automatically each day. Once the customer has selected a projector model the replacement bulbs currently available from the supplier will be displayed. Customers can then purchase the required bulbs, either by paying immediately online or by submitting a purchase order.